As the frequency and intensity of wildfires increases due to several factors, like past fire suppression, climate, and weather, it is important to consider how to prepare the area surrounding your home, or other defensible structures, on your property. With many homes in the Pacific Northwest either surrounded by forestland or at the wildland-urban interface, considering how to create defensible space is an important strategy to mitigate possible damage to structures if a wildfire occurs in the area. Defensible space is a zone around a home or structure where plants or trees are altered to increase the probability of structure survival if a wildfire transpires. Defensible space mitigates home loss via reduction in radiative heating, dropping chances of ignitions from embers, decreasing direct contact with fire, and allowing for a safe space for firefighters to combat fire (Gill and Stephens, 2009; Cheney et al., 2001). Many counties have Community Wildfire Protection Plans in place; one example is Clallam County. They have suggested criteria for defensible space surrounding your home and other mitigation strategies. Common mitigation strategies include: stand thinning, pruning of trees and thinning from below (reducing dead, suppressed, diseased trees), reduction of diseased stands, creating fuel breaks, and using fire resistant plantings. Many Community Wildfire Protection Plans use the Firewise landscaping zones, with a 30ft fuel free area surrounding the structure, 30-60ft zone of minimum fuel area, 60-90ft zone of reduced vegetation, and 90ft+ from structure natural areas thinned and selectively pruned. Scientific evidence demonstrates that the most effective distances with reduced vegetation from the structure vicinity were anywhere from 16-58ft (Syphard et al., 2014). In this study, the most effective actions were reducing vegetative cover up to 40% immediately adjacent to structures and making sure that vegetation does not touch the structure (Syphard et al., 2014). Peninsula Urban Forestry can assist you with preparing your property with wildfire mitigation techniques and Fire Mitigation Plans. Proper pruning, forest thinning plans, and sustainable landscaping with fire resistant species are some of the strategies we implement in our Fire Mitigation Plans. Cheney P, Gould J, McCaw L (2001) The dead-man zone – a neglected area of firefighter safety. Australian Forestry 64, 45–50. McDonald, S. and Barry, D. (2009). Clallam County Community Wildfire Protection Plan. Gill AM, Stephens SL (2009) Scientific and social challenges for the management of fire-prone wildland–urban interfaces. Environmental Research Letters 4, 034014. Syphard, A. D., Brennan, T. J., & Keeley, J. E. (2014). 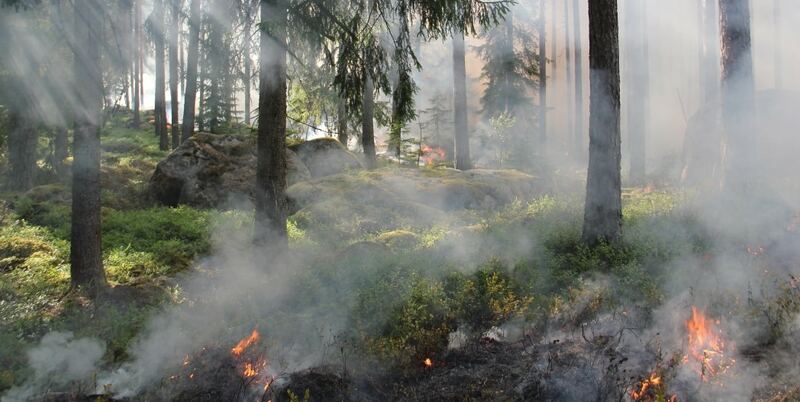 The role of defensible space for residential structure protection during wildfires. International Journal of Wildland Fire, 23(8), 1165-1175.